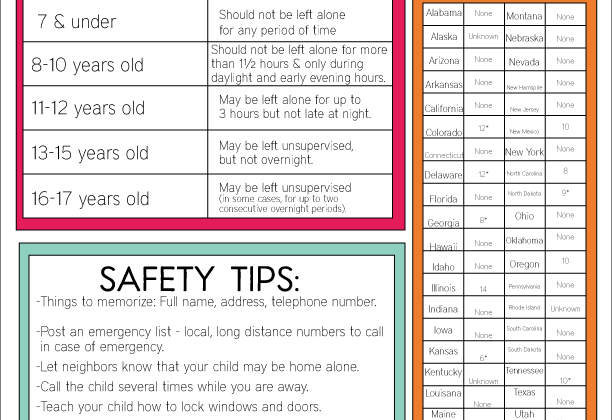 This post was originally shared by Melissa from Polka Dot Chair for my Funner in the Summer series. 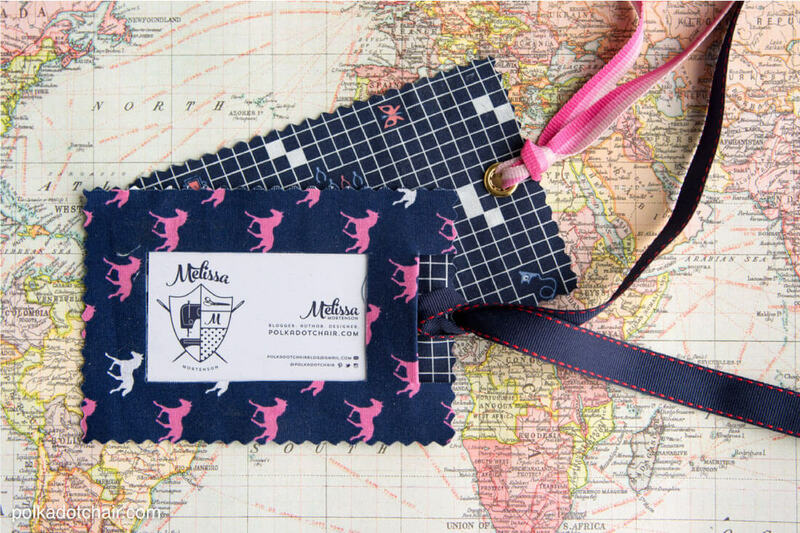 These luggage tags are perfect for all of your summer travel. 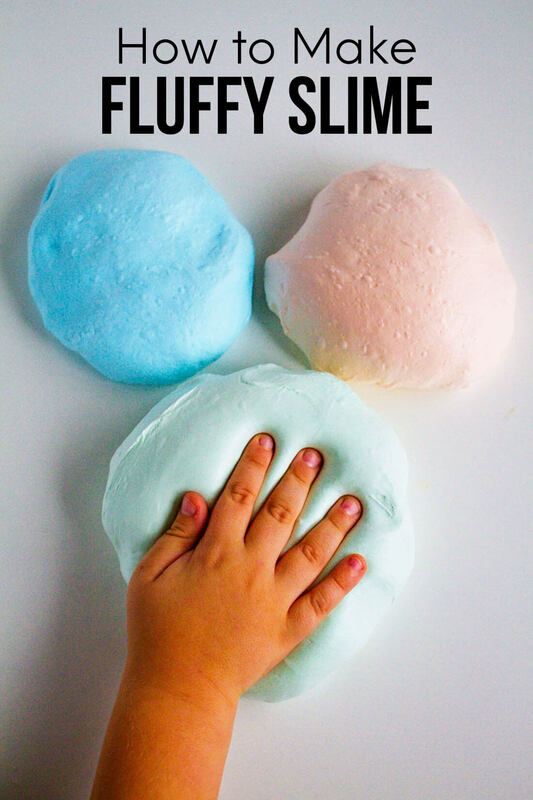 They are cute and easy to make. Give them a go! I love to sew, a lot. I also love fabric, a lot. Even though I love to sew, I know some of you guys don’t love it as much as I do but you still love fabric! So today I have for you a fun no sew project. 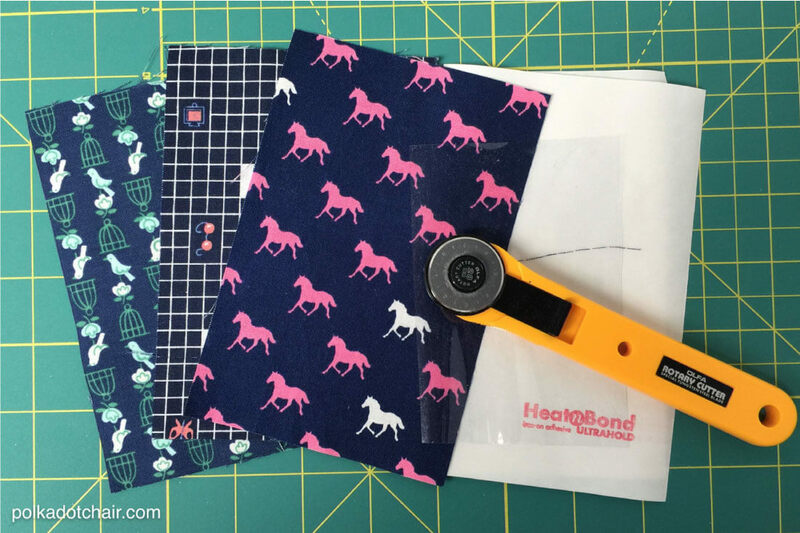 If you have a sewing machine handy you can add a few stitches to the project at the end, but that’s totally up to you. I love to travel with my family. This summer we are headed to the Netherlands and Norway. 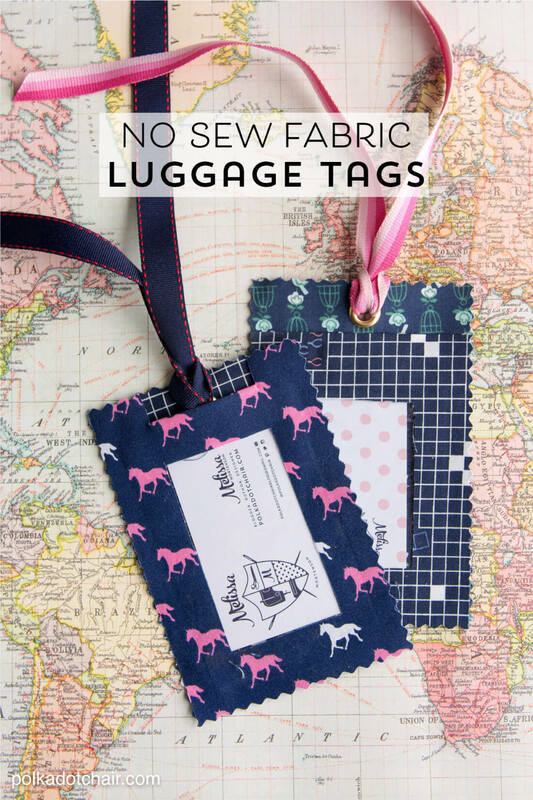 One of the “tricks” I picked up a long time ago was to always have a unique luggage tag on your bag. That way it’s easy to spot on the luggage carousel. 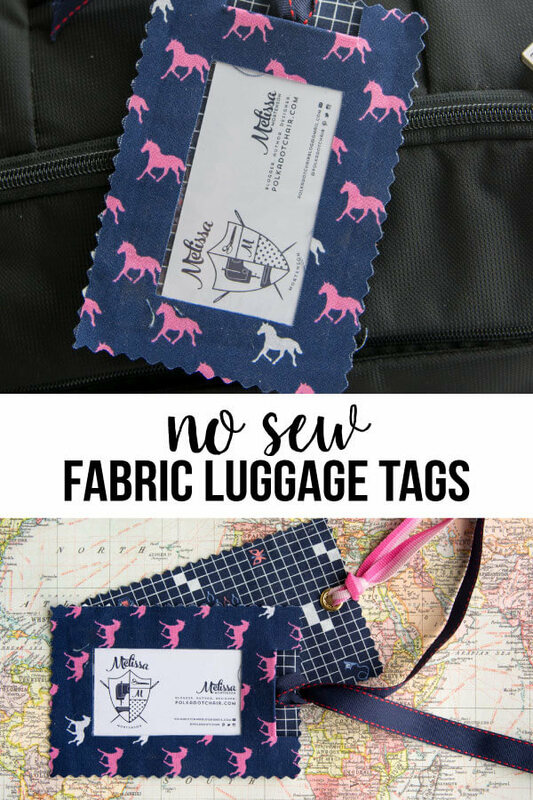 So today I’m going to show you how to make a very simple luggage tag with a clear window for a business card or other information card. Fuse the Heat N Bond to the wrong side of one of your fabric pieces. If you’ve never worked with it before make sure you read the instructions on the package. 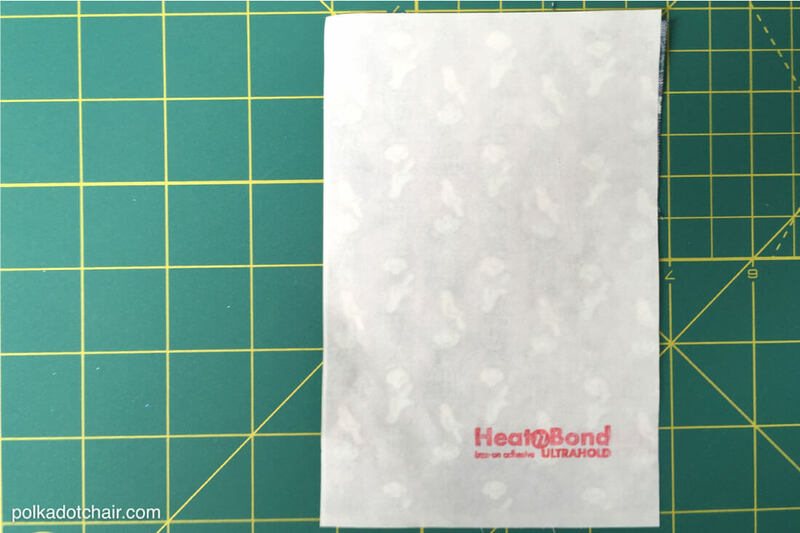 Peel off the paper backing from the Heat N Bond, place another 4×6 piece of fabric on top of the 1st piece of fabric so that the wrong sides of the fabric are facing. Press. 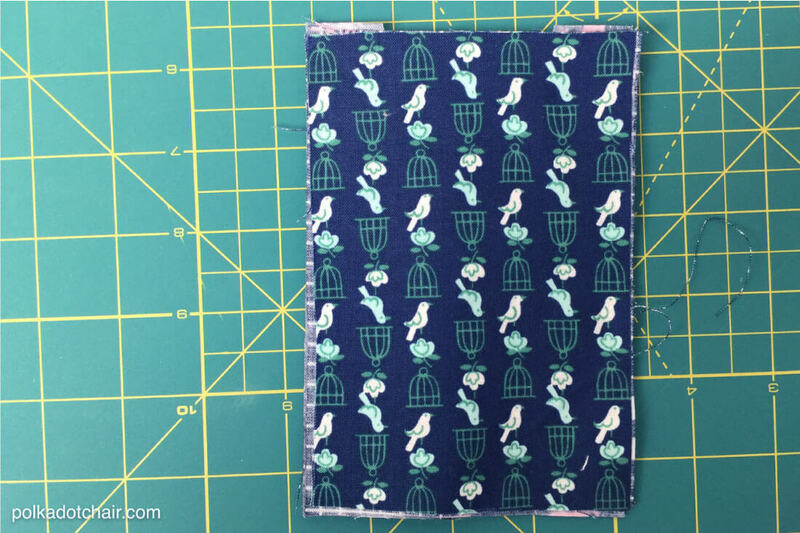 You now have a piece of fabric that is double-sided. Set aside. 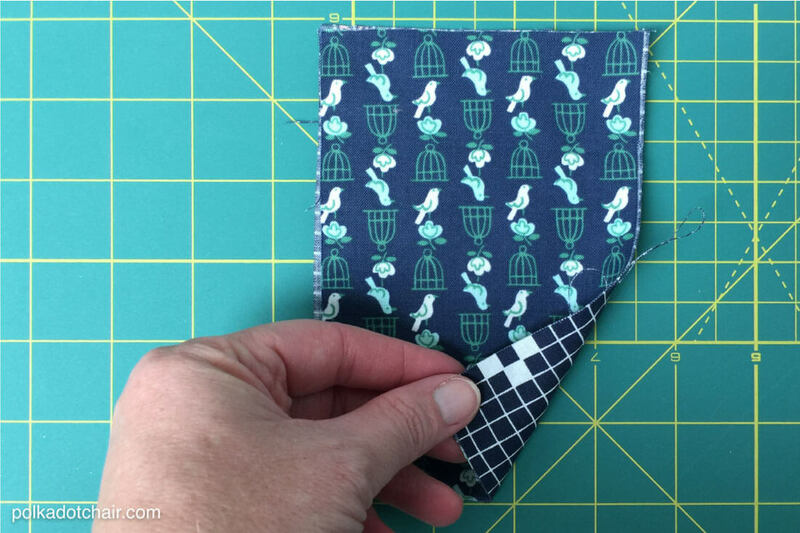 Apply the 2nd piece of Heat n Bond to the wrong side of the remaining 4×6 fabric piece. 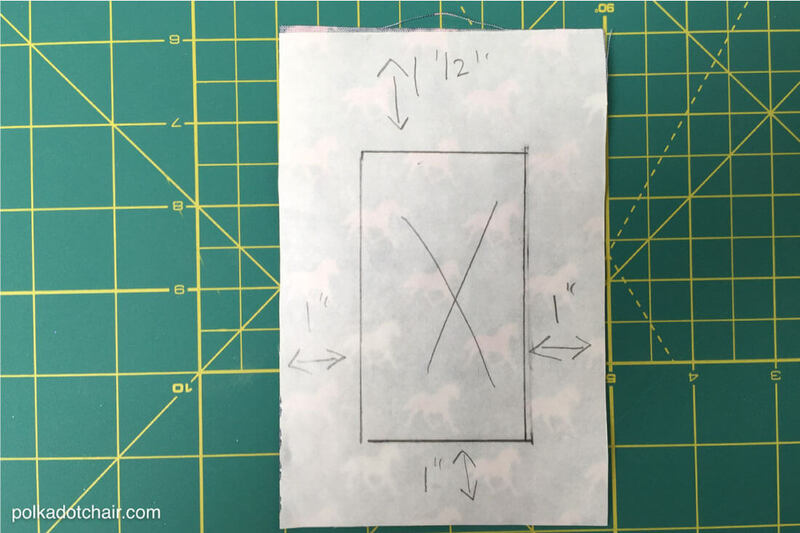 On the back of the fabric piece draw a box that is 2″ x 3 1/2″. The box will be 1″ in from the side, and bottom edges and 1 1/2″ from the top. Peel off the backing from the heat n bond. 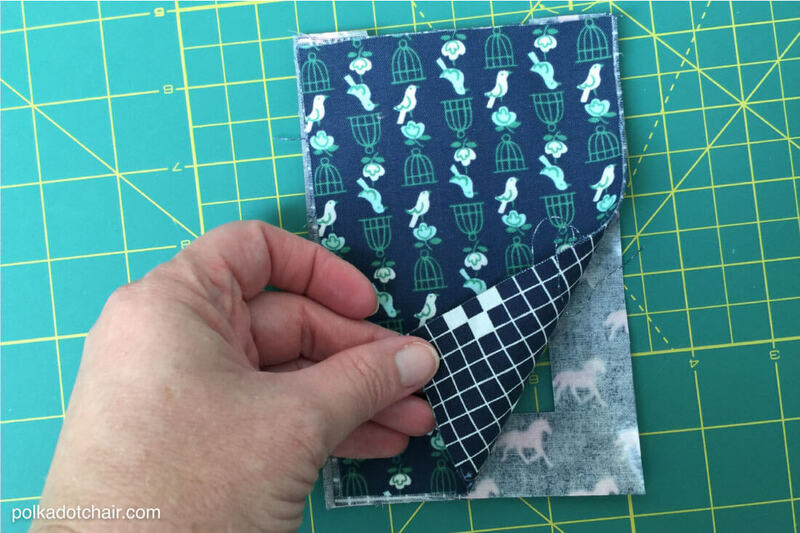 Clip the top two corners of the 4 x 6 fabric piece 1″ down and 1″ in from the sides. Place the cut clear vinyl over the top of the opening on top of the heat n bond, centered in the opening. 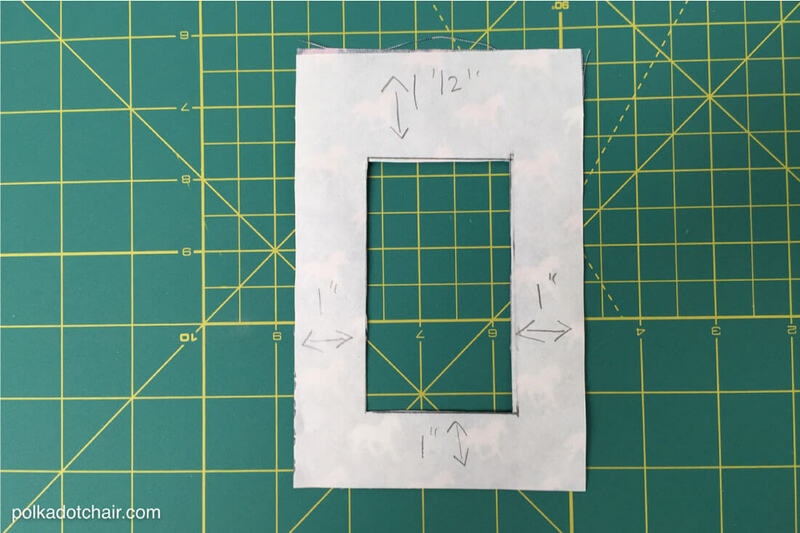 Fold the cut portion of the 4×6 piece over the top of the clear vinyl. 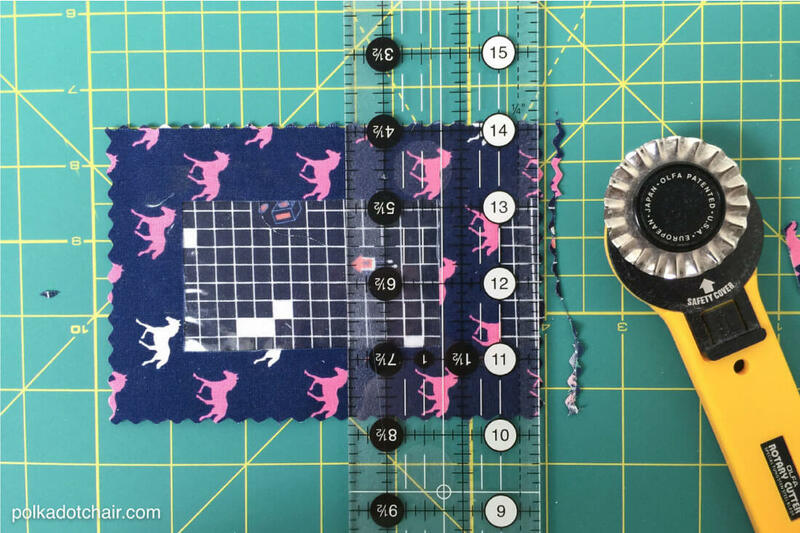 Place the un cut 4×6 double-sided fabric piece on top of the cut fabric piece. Make sure that everything is lined up just right. You should have a “sandwich” of fabric pieces with the vinyl in the center. Press on the FABRIC side to secure the heat n bond. Do NOT ever touch the iron to the clear vinyl it will melt! Make sure that it’s secure all the way around. If you need to press close to the vinyl place the paper that you peeled off of the heat n bond over the vinyl to protect it from the iron. 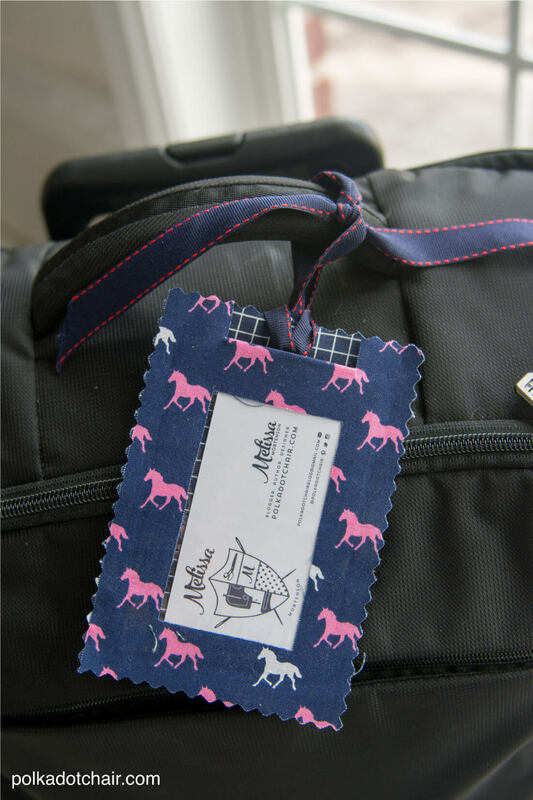 Using the pinking blade on your rotary cutter, trim off 1/8″ from all 4 sides of the luggage tag. This (and the heat n bond inside) will prevent the fabric from fraying. 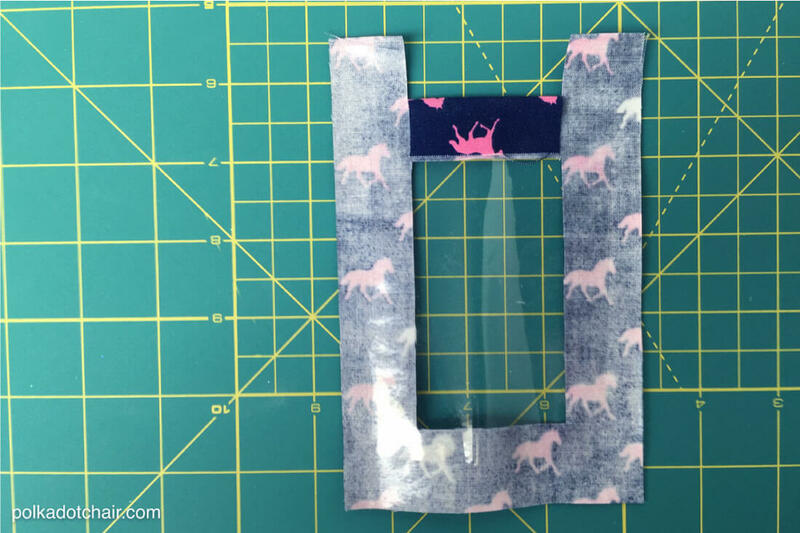 To finish, set a grommet (follow the directions on the package) in the tag near the top and tie a ribbon through the hole! 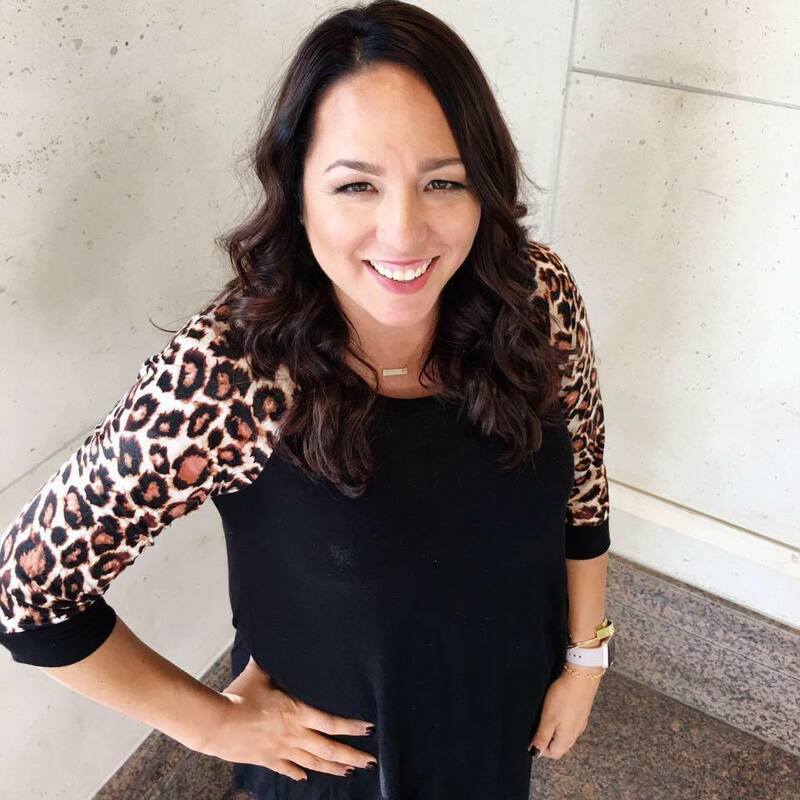 Here are a few other projects that you may enjoy!